Hi everyone, I'm on the Topflight blog today showcasing stamps from Leanne Creatief - Doodle Clear Stamp Pumpkin. I cut layers for the base of my card and inked all edges with Distress Ink. 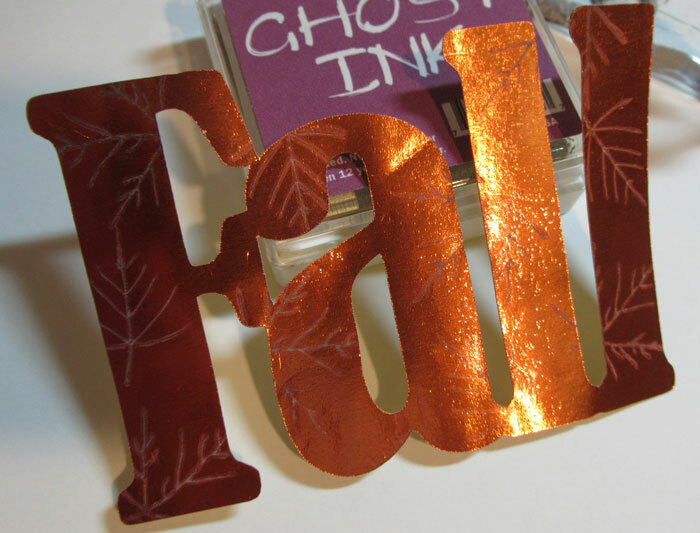 Fall was die cut from Rinea Foiled Paper using my Cricut Expression. 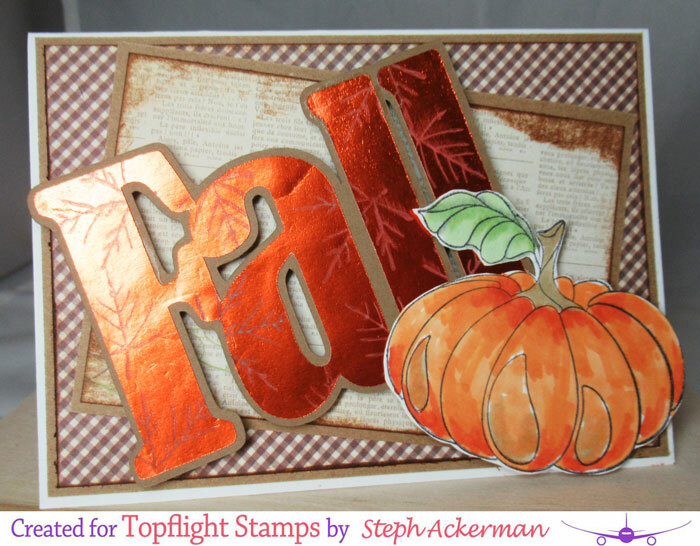 I stamped the pumpkin in black ink and colored it with Copic Markers before fussy cutting it. 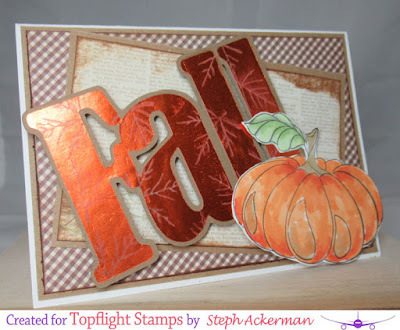 Fall was added to the card on a slight angle and the pumpkin was added to the corner.